The complaint follows reports that some YouTube creators are targeting kids with disturbing videos, including some of kids in abusive situations. On Friday, BuzzFeed reported that the company will offer a safer, human-curated option for YouTube Kids, a version of the site for users under 13. But the complaint to the FTC argues that most children aren’t watching YouTube Kids, which launched in 2015. They’re watching the same YouTube as the rest of us — and the company is aware of that, says Josh Golin, executive director of the Center of a Commercial Free Childhood, a nonprofit behind the complaint. The company could have moved popular children’s content like Peppa Pig or Sesame Street to YouTube Kids, says Golin, rather than leave videos where “kids are going to be exposed to data collection practices and be one click away from really disturbing content for children.” Human curation may be a good first step, “but changes to the YouTube Kids app do not absolve Google of its responsibilities to the millions of children that use the main YouTube site,” Golin says. An ad for Barbie appearing on a child-directed video on YouTube’s mobile app from October 2017. A 2017 survey conducted by a market research firm specializing in children and families called YouTube “the most powerful brand in kids’ lives,” with 80 percent of American kids ages 6 to 12 using YouTube daily. A survey from October by Common Sense, another nonprofit group that signed the complaint, found that 71 percent of parents said their children watched YouTube’s website or app, whereas only 24 percent used the YouTube Kids app. YouTube’s terms tell kids under 13 years old not to use the service, so Google could argue that kids are watching with their parents and permission is implied. However anyone can watch videos on YouTube without an account. The complaint points out that kids often watch on a mobile device, likely by themselves. 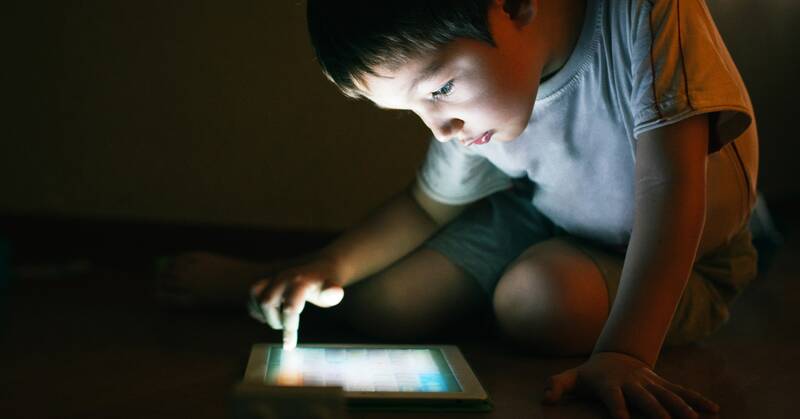 In 2015, the company said it launched YouTube Kids as a mobile app “because of this reality – that we’re all familiar with – 75 percent of kids between birth and the age of 8 have access to a mobile device and more than half of kids prefer to watch content videos on a mobile device or a tablet.” COPPA applies to websites that have “actual knowledge” that they are collecting or maintaining kids’ personal information, even if the collection is unintentional. The complaint claims that YouTube’s advertising practices suggest that executives know children are watching. For example, Google Preferred, a premium service that helps advertisers place their ads in top videos on YouTube’s main site, includes the category “Parenting & Family,” which features channels like ChuChuTV Nursery Rhymes & Kids Song, which has more than 15 million subscribers. Targeting kids can be lucrative. The complaint points to a popular YouTube channel called Ryan ToysReview, in which a 6 year old reviews toys. The site, which has more than 20 billion views, generated $11 million in revenue last year, according to Forbes. After criticism about advertising to kids, YouTube Kids launched an ad-free version, available to parents, for a monthly subscription. Facebook followed YouTube’s lead, launching an ad-free messaging app for kids as young as 6 years old.